NPR Ratings at All-Time High NPR's multi-platform journalism has grown to the highest levels in its history. Wednesday, March 15, 2017; Washington D.C. - NPR's multi-platform journalism has grown to the highest levels in its history. 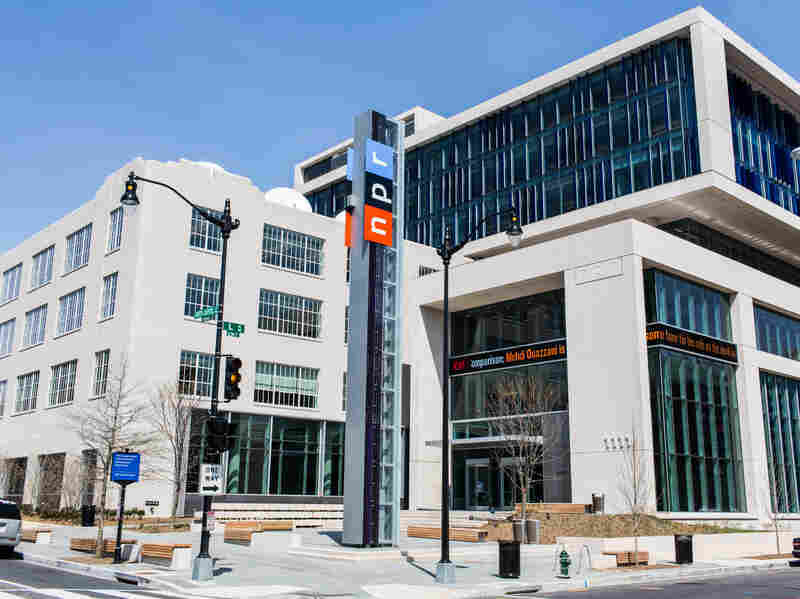 "At a time when many news organizations have been forced to contract, NPR is expanding coverage and focusing resources on the local and national issues that listeners care about," said Michael Oreskes, NPR's Senior Vice President of News and Editorial Director. "Now, more and more people are turning to NPR as their source for unbiased fact-based news." "We are thrilled by the growth we have seen," said Thomas Hjelm, Chief Digital Officer at NPR. "NPR is a forum for robust discussion, rigorous reporting and great storytelling – and through innovations and expansion onto new devices, NPR is reaching more people on more platforms than ever before." According to Nielsen Audio ratings, the total weekly listeners for all programming on NPR stations reached an all-time high of about 37.4 million in the fall of 2016 – a nearly 4 million person increase from the same period in 2015. Listeners for NPR programming and NPR Newscasts account for about 30 million of that total. NPR's flagship programs, All Things Considered and Morning Edition, reached their largest weekly audience ever, at 14.4 million and 14.65 million listeners, respectively – continuing to be two of the largest news radio programs in the country, and larger than many well-known television news programs. NPR's on-demand listening is driven by a diverse roster of programming, on a broad range of topics including long form interviews, storytelling, comedy, science, politics, finance, and pop culture. With 37 active programs, NPR remains the leading publisher of podcasts, holding Podtrac's #1 spot for the 9th month in a row (since Podtrac began counting in May 2016). NPR podcasts are heard by over 4 million listeners every week – that is a 47% increase compared to a year ago. Use of the digital content available at NPR.org also climbed to record highs, growing its average monthly users by 28% compared to last year. NPR.org's success is partly due to innovations like NPR's live fact-checking and annotation tool. During the first Presidential debate, NPR's fact checking tool attracted over 9.7 million page views from 7.7 million unique viewers – making the first debate and the following day NPR's two largest web traffic days ever. NPR has seen numerous innovations this year including building out the NPR One app, expanding NPR content on to new devices, and continuing improvements to NPR.org and the NPR News app. Over the past year NPR One's monthly users have grown by 175% - and that content is now available on more platforms than ever before. In February, NPR announced that the NPR One app is now available on Amazon's suite of smart home assistants including the Echo, Dot and other Alexa-enabled devices. Listeners can customize their devices to hear reporting and programming from their local member station, as well as all of NPR's familiar voices (Jack Speer, Steve Inskeep, Korva Coleman, Lakshmi Singh, Dwane Brown) which are now available anytime, by voice command.